Watch the short video below for a guide to the simple steps required to increase profits from tennis betting. Read the full article for a comprehensive guide on ‘How to Increase Tennis Betting Profits‘ with Tennis Tips UK. Tennis Tips UK recommend using a volume based bookmaker to place wagers. It solves other common problems such as account limitations, low odds, stake caps, poor range of markets and geographical restrictions. Visit Pinnacle Sports for more information as they are the highest rater broker. Tennis Tips UK offer standard membership and also an exclusive membership club. This is a simple check list for all new subscribers or those considering joining the VIP Club service. As a member you’ll receive daily betting advisory. This will include the advised bet and recommended stake size. All picks are sent via email and are also available via the members-only login area. Many subscribers make the mistake of thinking all bookmakers are the same and consequently it doesn’t matter where they bet on the picks – however this isn’t the case. That brings us on to the first key point on the checklist. Switching bookmakers can have a huge impact on long term profitability. It rarely benefits a member to be loyal to a specific bookmaker. It’s wise to have multiple accounts at all sites offering high odds and a credible, licensed service. See below this video for advice on the best choices to maximize profits. Some are worth signing up for simply because of the welcome offer. Join and use the free bet then don’t use them again unless they offer the best odds for a particular pick sent to you by Tennis Tips UK. There are also issues such as bookmaker limitations and even account closures when members sustain profitability long term. The bookmakers and sports betting exchanges listed below are recommended by the Tennis Tips UK as they all offer high odds for the tennis betting markets frequently used for the VIP Club betting advisory. Crucially they all support profitable players too. Most bookmakers close or limit players that regularly end months in profit as it clearly doesn’t fit their business model to support profitable players long term. However exchanges and selected bookmakers operate a different business strategy relying on volume of bets to generate an income rather than margins/edge. Whilst Tennis Tips UK suggest having accounts at all the bookmakers/exchanges above – Pinnacle Sports is the main recommendation in terms of betting on the picks each day. On average this will significantly increase profits when compared with betting with other bookmakers such as Betfair, Bet365, Bwin etc. The bookmakers listed below offer a decent range of tennis odds and markets but generally aren’t a good choice to use long term. Account limitations are common and the stake size caps are relatively small by default making them a poor choice for club members. Having said this; it’s still worth registering with them just to use the welcome offer. Tennis Tips UK have tested and verified the offers below – none of them contain hostile terms and conditions or large rollover requirements. Simple click the bookmaker name below, register and make the minimum deposit required. Utilize the free bet then only use the account again if they happen to offer the best odds for a VIP Club Tennis Betting Pick. Please note this will be rare as typically the best odds are available at the bookmakers listed above. It’s vital to stay disciplined. There will be periods with losing bets – no service can guarantee constant winners. 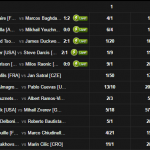 Tennis Tips UK offer high value selections that will deliver a profit long term. It’s very important to follow the provided stake advice. This is on a scale of 1-10. Select an amount per unit to bet and stick with this. If profits mean your total bankroll grows considerably then increase your stake per unit. Never risk more than 0.5% of your total bankroll per unit. If you need advice regarding stake size and bankroll management please feel free to contact us. Tennis Tips UK have achieved a significant profit yield each year since the service started back in 2013. The vast majority of months are profitable and a considerable amount of members use the service to generate a full time income. However it’s important to understand that there is always risk involved. Please do not apply for membership if you can’t stay disciplined with your bankroll management. If you’re looking for long term, sustained profits then our service is perfect for you. 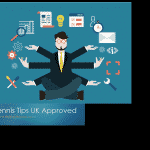 Apply for Membership of Tennis Tips UK VIP Club. Following the simple steps specified above will make a significant difference to the profit achieved during your subscription time with Tennis Tips UK. The principles of responsible gambling and bankroll management apply to virtually all sports. It’s always important to stay in control and remember that profits are never guaranteed even with a credible tipster service – especially over the short term where variance is so high. The only way to reliably make an income from sports betting is to take a long term, investment style approach and always control your risk/liability.